DanicaLorer has been a professional storyteller for more than 20 years. She collects and imagines stories and pictures throughout Saskatchewan and beyond. She follows the highway as a ribbon tying her to the amazing sky, clear water,words on the wind, and beautiful people. 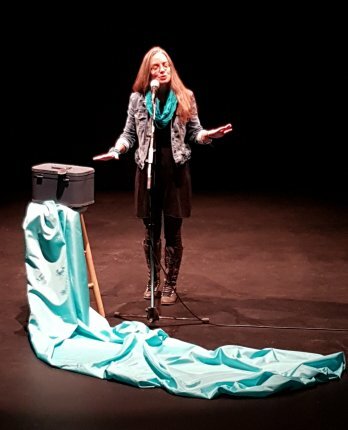 She reaches out with her telling to audiences of all ages at festivals, libraries, schools, extended care homes,and more. Danica facilitates storytelling workshops inviting participants from 0-103 years to reach into their memories, imaginations, and surroundings.